Passed away Saturday, April 16, 2016 at the Ross Memorial Hospital, Lindsay with her family by her side. Wife of the late John. Loving Mom to Denise Warren, Marlene (Brian Nichols), Barb (Gary Ross), Pat (the late Tom Flintoff), Ed Taylor, Phyllis, Leon (Late Sandra Warren), and the late Ray, Darlene, and Janet. Gram will always be loved by her many Grand children and Great Grand children. 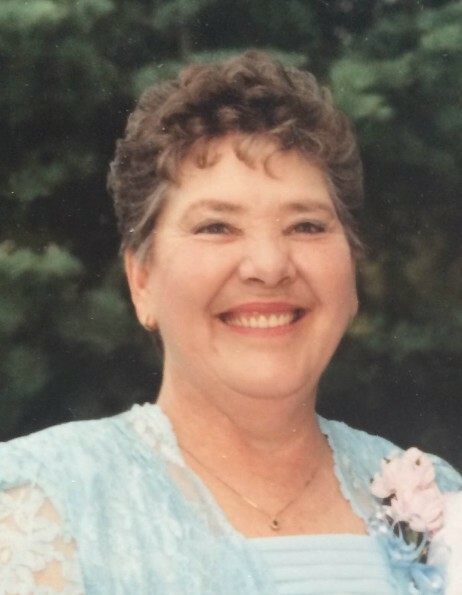 Her family will receive friends at Lakeland Funeral & Cremation Centre, 19 Moose Road, Lindsay on Thursday, April 21 from 1:00 pm until time of funeral service in the chapel at 2:00 pm. Interment to take place at Greenbank Cemetery at a later date.